The Velvet by Graham and Spencer Vivi sequin dress is a glamorous option that's perfect for party season. 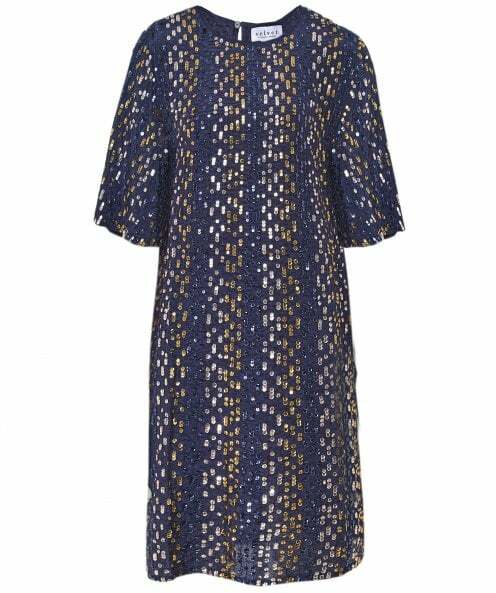 Crafted from an easy woven fabric that features vertical sequin stripes in tones of gold, pink and navy blue, this mid-thigh length dress is a chic statement piece, with short flutter sleeves and a keyhole fastening to the back of the neck. Wear with heels or ankle boots this season for a sparkly, celebration-ready outfit.